The jewelry giant-backed raceboat came mighty close to earning its first win, but it wasn’t to be. April 27, 2017 2 Ready, Set, Race! It’s game on for the players in the offshore racing arena as the 2017 season gears up for some of the best competition on the planet. 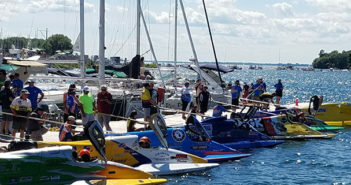 After its longtime partnership with Seebold Sports, NGK Spark Plugs is stepping up as the title sponsor of the 2017 Formula 1 Powerboat Championship. 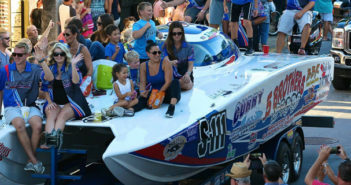 One of the most laidback events of the high-performance boating year returns in June. Offshore powerboat races and poker runs are a winning combination. In the spotlight for his rookie offshore racing season, Jake Noble delivered a performance that would have made his late father proud. Not only did Team Nordic win the venerable 300 Parker Enduro on Saturday, it also ran away with three victories in the NWSRA races. 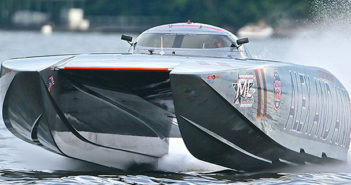 Picks from the heart and mind for the upcoming Super Boat International World Championships. 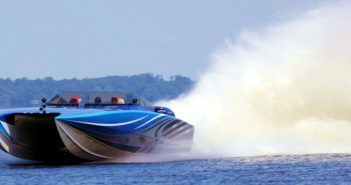 Once the power-of-choice in the Open and Extreme classes, Sterling Performance engines made a big-time power move into SBI’s premiere Superboat-class. 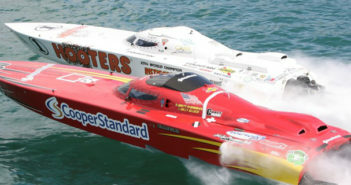 It wasn’t all luck that saved the lives of Tony Canale and Gary Jones last Sunday during the Super Boat International National Championships in Clearwater, Fla., it was safety equipment and personnel.